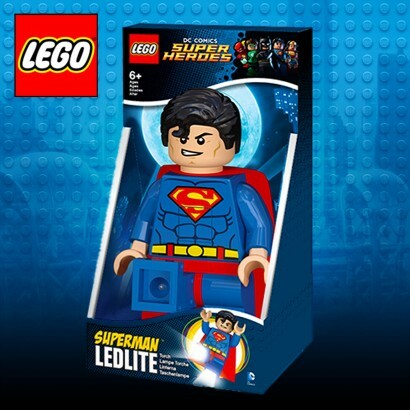 Equipped with super bright LED beams which shoot from his feet, the Lego Superman Nightlight is multi-functional. Stand him on one leg or sit him on his bottom and he becomes a glowing lamp and nightlight, featuring a 30 minute automatic shut-off function. 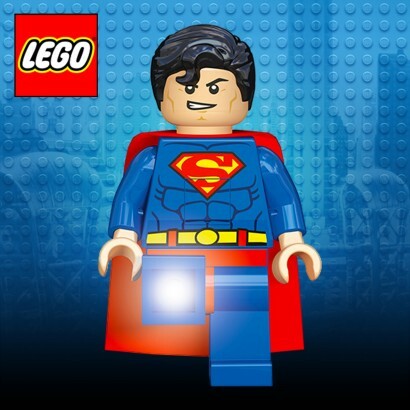 Lift him from his up and press the button on his stomach, and light beams will shoot from his feet, transforming him into a bright LED torch.